Srinagar, Jan 15: Life remained affected for the third day on Tuesday in Shopian in south Kashmir, where two militants, including a top Al-Badr commander, were killed in an encounter with security forces on Saturday evening in Kulgam. However, life was normal in Kulgam district today after remaining partially affected for two days. 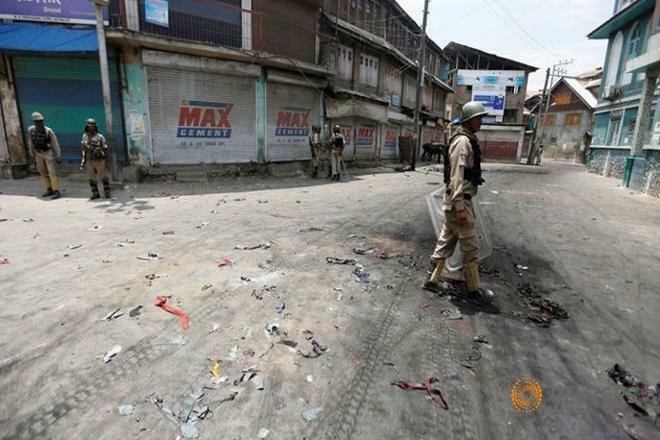 There were no restrictions in any party of south Kashmir, a police spokesman said. Even though there was no strike call given by any separatists organisation, shops and business establishments remained closed in Shopian. However, shops were seen open in Kulgam today. Traffic also remained off the roads though private vehicles were plying. A complete shutdown was also observed in village Sugan, Shopian, the native place of the slain militant commander Zeenat-ul-Islam. Work in government offices and banks was also affected. Educational institutions are closed on account of winter vacation. However, tuition and coaching centres were functioning normally today. Internet mobile service remained suspended as a precautionary measure to prevent spread of rumours.